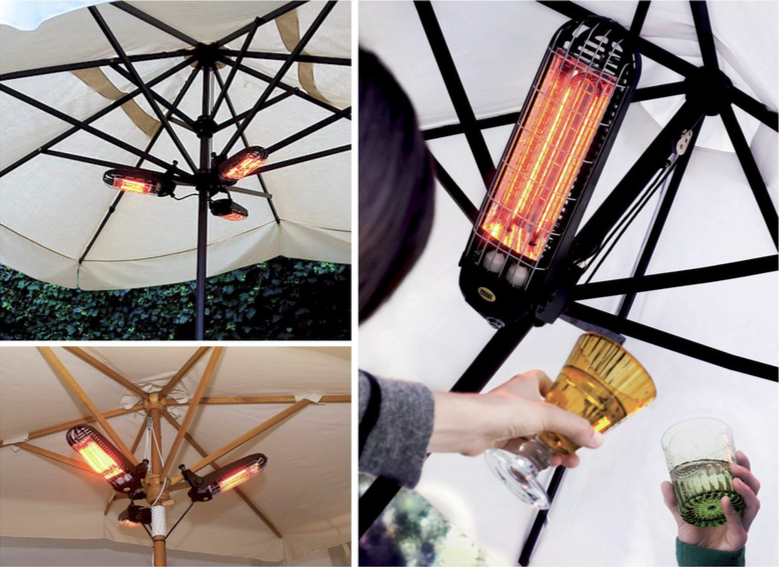 MO-EL started manu﻿facturing infrared heaters and patio outdoor heaters in 2004. 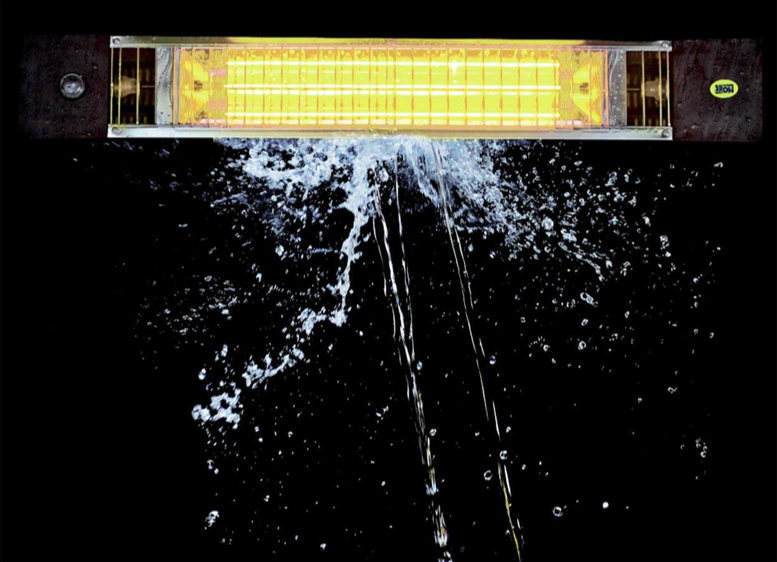 MO-EL is the first, original, patented, IP65 water resistant infrared heater. 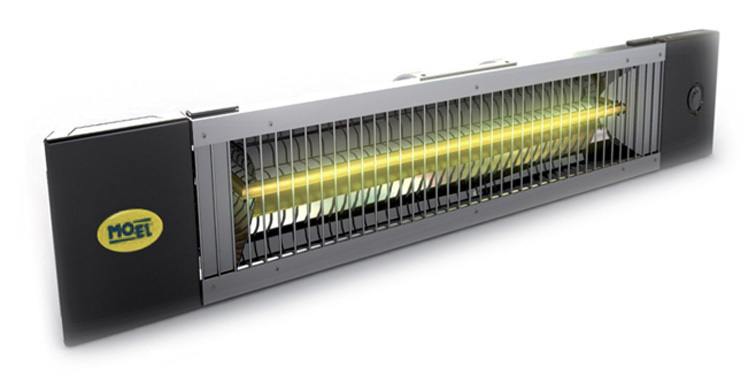 All the infrared heaters models are design, engineered and made in Italy. 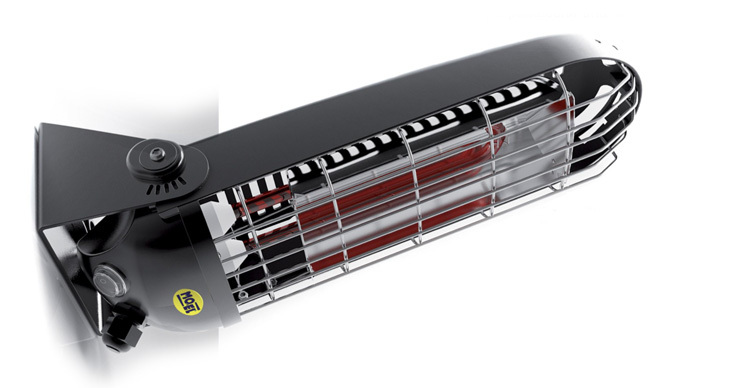 MO-EL infrared heaters are certified IMQ (key mark like nemko or VDE) and comply with the strictest European regulations. Energy Efficient Products Ltd are proud to offer a selection of these premium quality heaters to the New Zealand market. Sharklite has been designed to satisfy the needs of solidity, without neglecting design. The metallic parts are made of aluminium whereas the plastic parts are made of nylon charged fibreglass. Robust and not perishable, the product resists oxidation, bad weather, heat and UV radiation. The degree of dust protection is PI55. 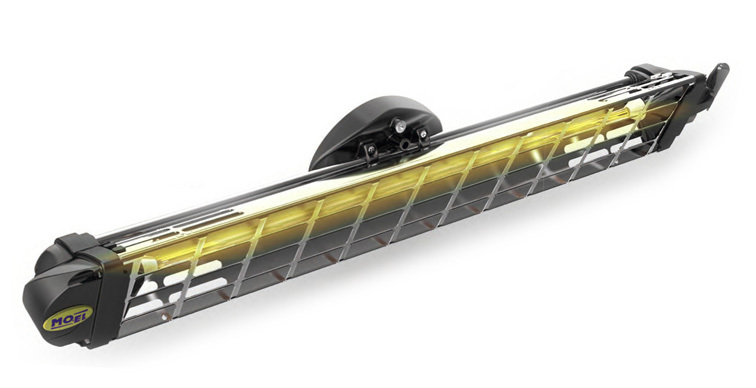 Resistance to shocks is guaranteed by a robust grille and the use of silicone. 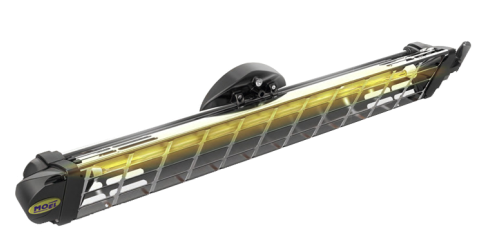 The product of essential elements, such as the parabolic reflector and the protective grille is realised thanks to an innovative system which uses projected curvilinear bends. 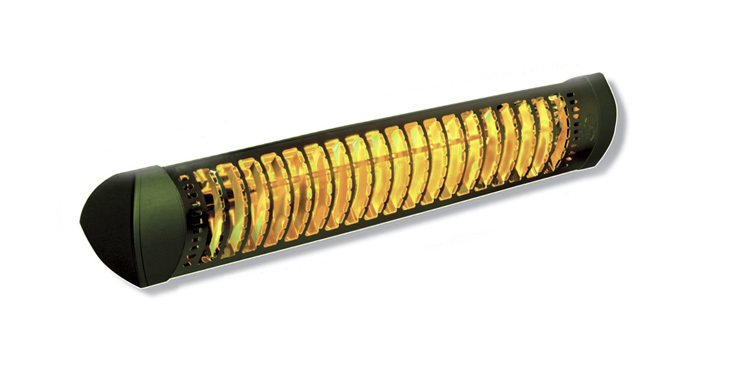 This technique increases the rate of irradiation and at the same time reduced costs and weight in comparison to traditional systems. For settings that require moderate and smart solutions and have strong personality. Compactness and stability are combined with a unique design characterised by intense colours and clear lines. Thanks to the technology of our license, PETALO can be subjected to water jets (IP55) with no protective glass, while maintaining a low weight for easy mobility. Glass covers absorb some of the heat emitted by the lamp. The absence of a glass cover in this product is a further substantial advantage in terms of energy output. The design is unique: the lamp that reduces the annoying reflections, power button for easy use, durable chrome plated front grille in a minimalist style and the parable of the wing seagull high reflectivity (design Pino Spagnolo). 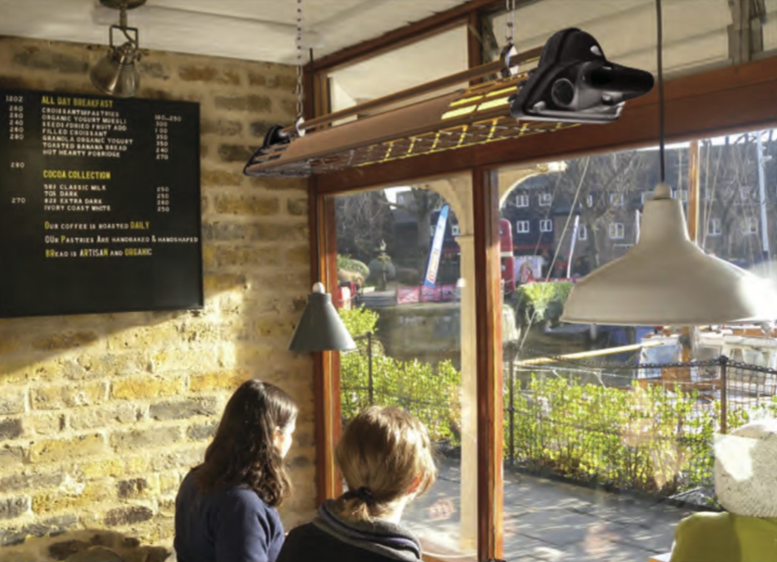 The traditional Fiore's design is now more elegant, more practical and adaptable to every enviroment thanks to the ELEGANCE aluminium pole and anti-tilting free standing base. Like all the other MO-EL Lamps, Fiore works without the supply of any type of gas. 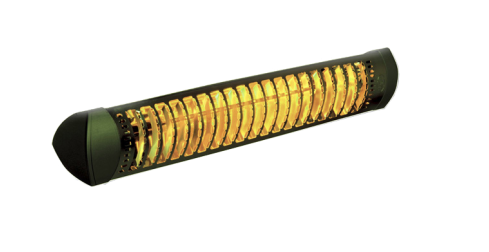 The short infrared waves concentrate the effect only where needed. The running costs are lower than other sources of heat. Fiore is the perfect solution for small and large surroundings requiring immediate heat. Lucciola is UNIQUE, compact, light and versitile. 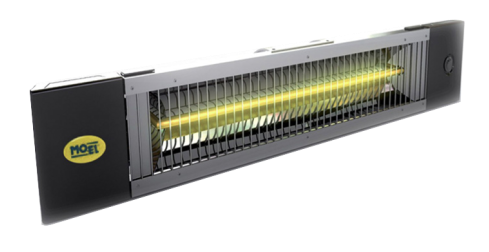 Available at 1200W, with 600W and 800W available as indent. 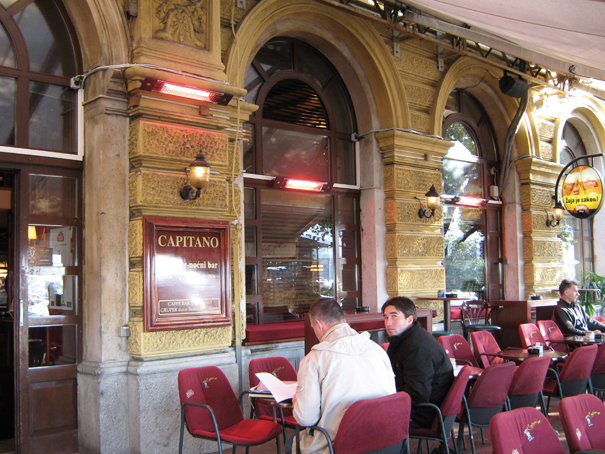 Lucciola is installed under umbrellas and could be fixed to the ceiling or to the pole. In your garden, patio or veranda Lucciola guarantees immediate heating, power savings and PI65 protection. Lucciola is created with an innovative nylon chassis and a Ruby lamp, which could be positioned both perpendicular or horizontal.